This weekend the space shuttle Endeavour is on its way to the California Science Center, getting driven via Overland Transporter along 12 miles of Los Angeles roads at a more-or-less steady 2 mph. Hundreds of onlookers have gathered along the route to catch a glimpse of a real-life spaceship passing by just outside their front doors. Now that’s really not something you see every day! 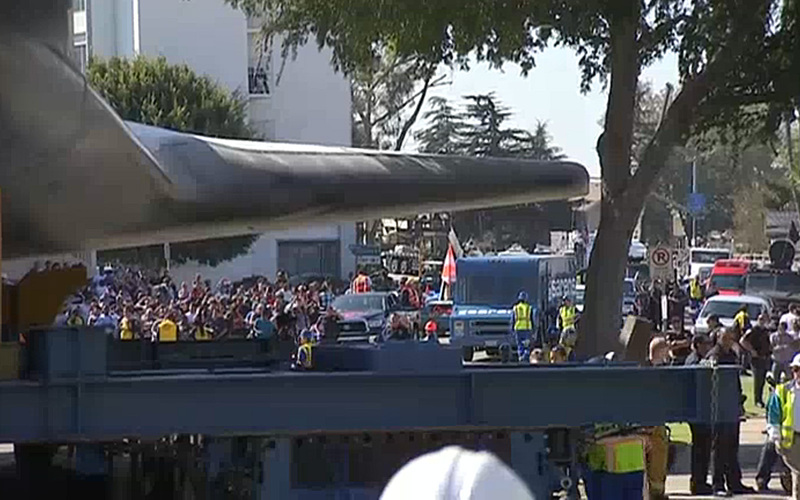 Endeavour cleared one tree trunk by mere inches! The move from Los Angeles International Airport, where it landed atop a Boeing 747 on Sept. 1, has been dubbed Mission 26. Endeavour flew 25 missions, traveled 122,883,151 miles and orbited Earth 4,671 times since 1992. All together, the move is expected to cost about $10 million. The exhibit is set to open Oct. 30. 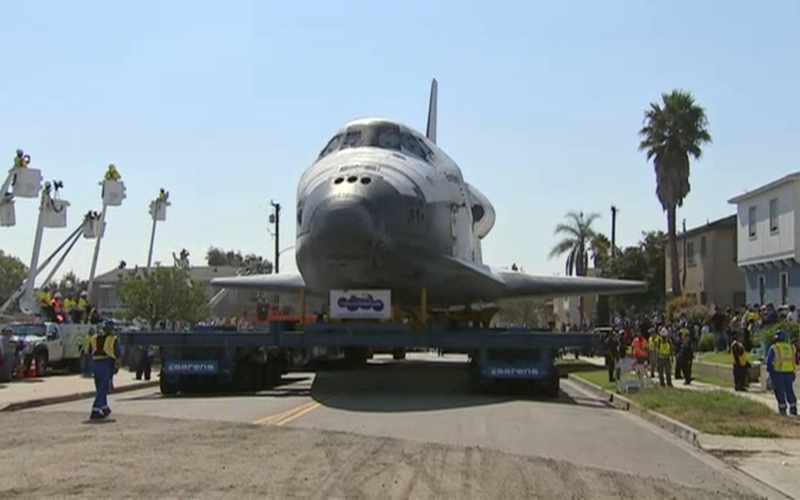 LA’s NBC affiliate is broadcasting Endeavour’s road trip live here.